The Oskar Blues crew got together with the innovative folks at Ball and they presented their 720 can as a possible idea for tasting rooms to use as a “to go” option. More than 300 Crolwers were sold from the Tasty Weasel in Colorado in December. Answer: C. A Crowler (can + growler) is Oskar Blues Brewery‘s trademarked 32-ounce can filled with fresh craft beer from the source. Yep, draft beer in a portable growler-sized can . It’s the newest innovation coming from the Oskar Blues Brewery taproom and its development partner Ball Corp., the pioneers of the American craft beer-in-a-can movement. “We get off on pushing the limits, doing things differently and the Crowler is another step of innovation to take advantage of what the can package has to offer from behind the bar. 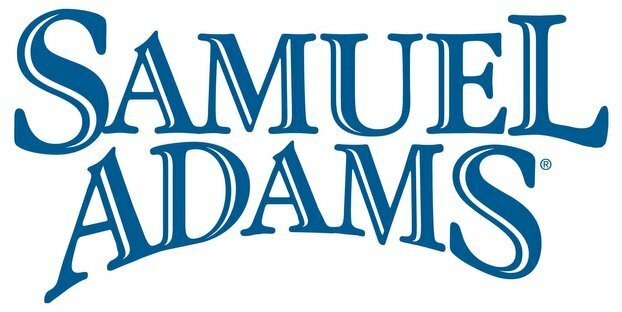 More beer options in more cans, we’re working on creating one big glasshole,” says Jeremy Rudolf, the man behind the Crowler integration at Oskar Blues. Craft beer drinkers dig their growlers filled in local taprooms, but standard glass growlers are often brought into pubs and tap rooms without being cleaned correctly, which affects the taste and cleanliness of the refill. They also don’t seal well and allow light in, while the Crowler is more portable and takes advantage of what the can has to offer by eliminating light-struck or skunky beer. The Crowler is a one-use, recyclable 32-ounce can that is filled and seamed right at the bar in the Tasty Weasel Tap Room in Colorado, using an All-American Can Co. seamer. This is a tabletop design commonly used for canning homemade food into steel cans and allows you to take home one-off and specialty beers. The filler was modified to work with aluminum, and the height adjusted to accommodate the Crowler height. Just like its smaller 12-ounce counterpart, the Crowler is made from aluminum that has 68 percent recycled content and also is infinitely recyclable. Here’s how a Crowler works: Oskar Blues added a CO2 purge station to purge the cans before filling them, which helps assure that there is no beer-degrading oxygen added to the beer. The Crowler is purged and immediately filled. Then the lid is applied and the Crowler is placed onto the seamer pedestal. The pedestal is turned so that the can is raised up and locked under pressure into the seamer. Turn it on and push GO. Turn it off, twist the pedestal to lower the can, and take it with you to enjoy. Once you open the Crowler, drink it up — ensuring the craft beer is consumed in a single serving while the beer is in its prime, just like in the taproom. Why Crowler? 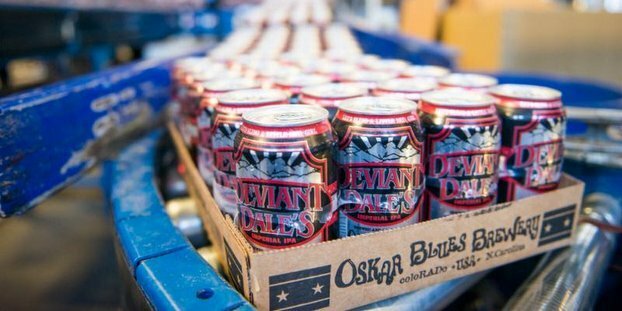 Oskar Blues and Ball have worked together to figure out fun ways to keep craft beer fresh for years. Oskar Blues uses stainless steel growlers in the tasting rooms, but the brewery is always looking for other options that are glassless. The Oskar Blues crew got together with the innovative folks at Ball and they presented their 720 can as a possible idea for tasting rooms to use as a “to go” option. It allows Oskar Blues beer lovers to get a reasonable volume of any beer on draft to go in a protected and portable new package.